View Poll Results: Rate this issue. The longer this comic runs, the more I enjoy it. It's stupid, and funny in a slapstick sort of way, but I enjoy it. Kolins art is even growing on me. Plus I can't wait to see the reaction of the Robot People when the GL they summon turns out to be G'Nort. I couldn't tell you what the last five issues were even about. The art is so obnoxious that the word balloons are meaningless to me. The art is far better than the story. No way I'd go near this book, but the art is awesome. 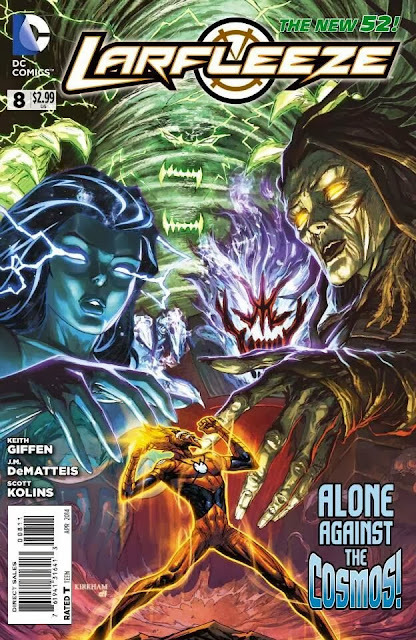 Much like the current Stormwatch, 99% of the fans hope Larfleeze turns out to be a dream by Pam Ewing (Victoria Principal) when she wakes up on Okaara.